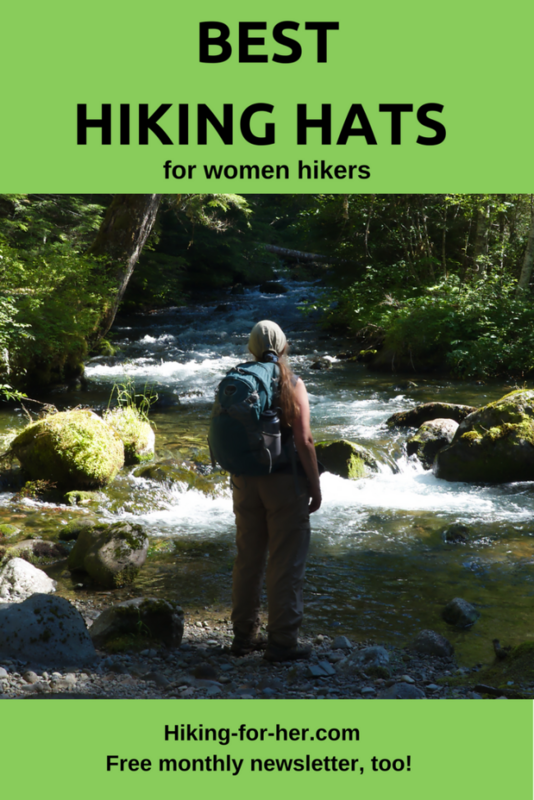 Best Womens Hiking Hats: Do You Have One Yet? Hiking hats for women are a sore subject for me. I had THE perfect hat, and it fell apart. To make matters worse, it was partly my fault! This favorite hat was purchased spur-of-the-moment, from a bargain bin at a sports store, 9 years ago. A lightweight yet substantial feel to it when I put it on my head. *I wore it through mud, rain, hail, snow, blindingly hot sunshine, buggy terrain - year after year. *I dropped it into mud holes. *I snagged it on brush and brambles. *I used it as an impromptu berry bucket when I ran into a rich patch of blueberries. *I swatted -and squished- flies with it. *And I poured my sweat into it, hike after hike after hike. And what did this splendid hat do in return? It patiently protected my head! And my eyes from the harsh glare of sunshine. And my ponytail, when I tucked it up under the hat. I ran it through the washing machine when it was too dirty to be seen on a hiking trail. Recently, my hat came out of the washing machine shouting "NO MORE". I should have been soaking it clean in a lukewarm basin or bucket of soapy water, then rinsing with cool water and hanging it up to drip dry. Or, as one reader recently suggested, taking it into the shower with me and using mild shampoo to cleanse it. Great hiking hat has been located! My beloved hat is now retired, hanging in a place of honor in my gear closet. And I'm announcing my good news: I found a replacement I can actually enjoy wearing on a hiking trail. The first day I wore this new hat, an approaching hiker said "Cool!" and gave me the thumbs up sign. At the time, it seemed odd. By the time I got home, I realized he really meant the brand - Kuhl! Or maybe he was referring to the little patch of the Matterhorn sewn onto the left top? Can hiking hats get any better than this? a sewn-in sweatband to catch perspiration before it drips down into my eyebrows. 75% cotton, 25% nylon, with an anatomically correct fit for females, too. And what's not to love about their motto? "Born from our rebellious philosophy to question everything, break the rules,and reject the status quo." Hmm... I thought it was just a hat!! Now I have my marching (hiking) orders. What's better than one great hat? I purchased a second Kuhl hat, in a lighter color, for hot weather hiking. I'm a true believer, I guess. And judging by their 5 star ratings, I'm not alone. I've made room for an Urban Canairie lightweight vented hat for my spring and fall hiking adventures. Read about this unique hat in my review. And for a full coverage sun hat with a chin strap, like this one. Hiking hats for women: versatile and (dare I say) stylish? Hats have a lot to do with the enjoyment of your hike. wick moisture and mop up sweat before it runs into your eyes (along with sunscreen - OUCH!). You should pay attention to the amount of UV radiation falling on your face and ears and neck, both front and back. Protection from the sun isn't just something an older hiker needs to worry about, either. Sunburn avoidance is definitely the way to go for all of us female hikers! Sunscreen and full coverage hats with UPF 50 or more deserve a place in your hiking safety repertoire. 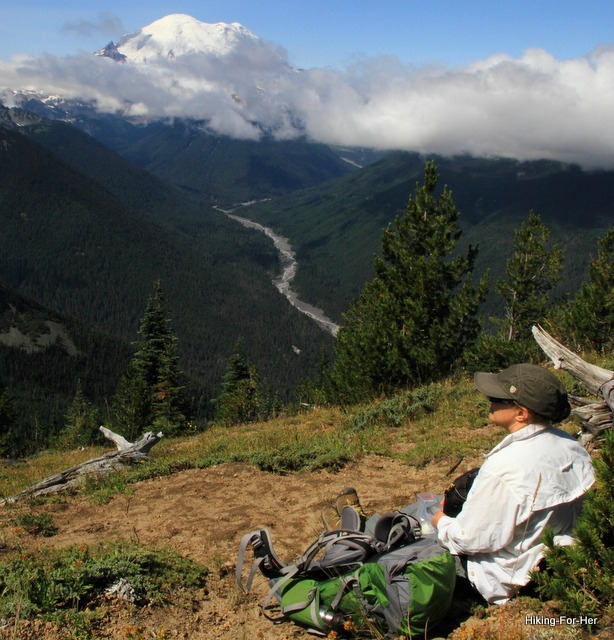 If you hike when the weather is less than ideal, you'll need to keep your head and ears covered. Too much heat is lost in these areas for you to be comfort, let alone safe, wearing just a ball cap. a balaclava ("clava") that prevents wind and snow from getting down my neck. I bring this with me year round, just in case. I also use a "neck gaiter" along with my beanie, similar to this one. It can be used on your head or neck in many different ways, giving you versatility as well as warmth. I also use it to tie up my hair, off my sweaty face and neck. And of course, there are always ear muffs and headbands! I've got quite a collection, and you will, too, once you see how functional and lightweight they are. Great for daily training walks in brisk weather, too. I love spotting unusual headwear on the trail. I believe that you can tell a lot about a hiker by what's on her head, in terms of color and patterns. Make a little game of it next time you're out! See how many different logos, or national park patches, or unusual colors and styles you spot during a day hike. Hats off to you for being so thoughtful about your hat choices. You're keeping UV rays out of your eyes and off your epidermis, you're regulating the temperature of your head, and you're looking good on the trail. Still looking for the perfect hat? If you're looking for a great womens hiking hat, at a great price, take a look here for REI Co-op deals. Some of the links you see are affiliate links. Using them to purchase great hiking gear costs you nothing extra, but results in a tiny commission for Hiking For Her. 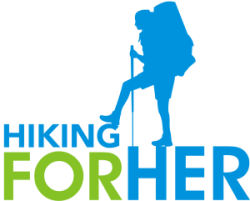 This keeps the hiking information on these pages freely available for all to use, plus you get great gear. Your support is much appreciated!